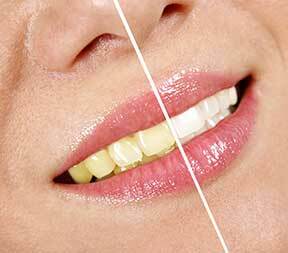 This means that the color of the teeth is lightened by placing a whitening solution on the outside of the teeth. This is also known as "laser" or "power" whitening. We will put a rubber seal around your teeth to protect your gums. Then, the whitening gel is painted onto your teeth and a special, bright light is pointed at them. For more information on Teeth Whitening, call Beverly Claiborne, DDS in Fremont, CA at (510) 792-8765!